Early last year something reminded me of this song that I hadn’t heard in a long time, I now realize it’s my favorite U2 song. I remember hearing it on my favorite Naples radio station 20 years ago. They also played Cracker (“Low”), Spin Doctors (“2 Princes”), Culture Beat (“Mr. Vain”), Jovanotti (“Serenata Rap”), Radiohead (“Creep”), Pet Shop Boys (lots of it), Nirvana, tons of weird techno. After a certain hour the DJ would say “miscelazione in progresso” and I guess that meant they were mixing things so you could dance, and the pop songs stopped til the next day. Jovanotti – Serenata Rap (Julo alias Python Retro Hits) from Julo a.P. on Vimeo. I was ages 12 to 16, in our garage, building things out of balsa. In the improbably posh gated apartment compound we lived in (courtesy the American taxpayer — who actually got a really good deal on it), the garages were carved out of the side of a cliff and had loud sheet metal doors bolted to the rock. I set up a makeshift workbench and some lights and turned our car’s radio on. 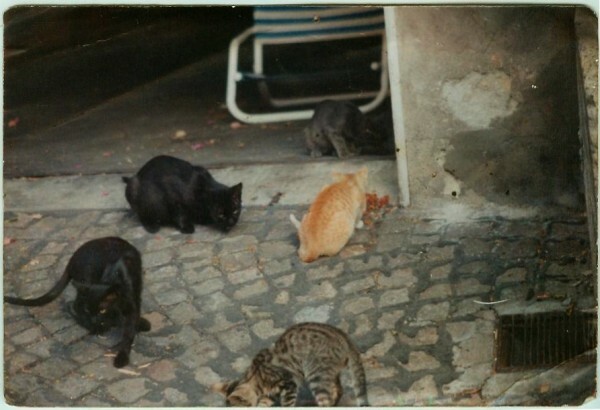 I tried to tame these cats. Sometimes I played tapes. I had Bryan Adams greatest hits (So Far So Good), Pearl Jam (Ten and Vs.), Nirvana, some mix tapes a friend made of Elvis and other 50s rock. CDs from the Green Linnet record label, which my brother gave to my father, since we’d just acquired a CD player and our last name is Irish. A great double cassette of Irish rock my father brought back for me at some point when he visited Ireland. Sometimes I played a specific tape of Neapolitan folk songs that we had for some reason and that I thought might endear me to the neighbors. I liked it too, that stuff was great. When I heard “Faraway, So Close” again after 20 years, it was the first time I’d thought of all that in about as long. It was temporally and geographically specific. What I didn’t realize when I was hearing it in 1993 is that the song was tied into a movie of the same name. 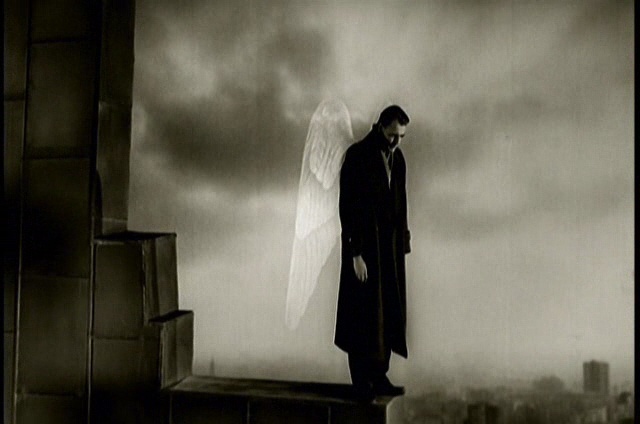 In the intervening time I’d become a fan of Wings of Desire, a movie that works on me in a particular, sort of nostalgic way, but different. It’s hard to explain. The way it’s shot and put together — the long sequences, the slow build, the lack of explanation, the setting. Berlin, late in the Cold War — a place I can only imagine in black and white, and that’s how they shot it. Bruno Ganz, Peter Falk(!). Plus, Nick Cave and the Bad Seeds being awesome at some West Berlin rock club. Badass. That Faraway, So Close is the sequel to Wings of Desire, and also my favorite U2 song, etc. — well, that sounds just great. I had to see this movie. On my birthday last year I did just that. I’m sad to report Faraway, So Close is a lousy movie. It started out good — the first 15 minutes feel like its predecessor. Then it’s downhill from there. What was subtle and mysterious and great in the first one is played for laughs in the second. It’s heavy-handed, too long by half, silly in the extreme — what a disappointment. If you like Wings of Desire, don’t see Faraway So Close. The song is still good though.